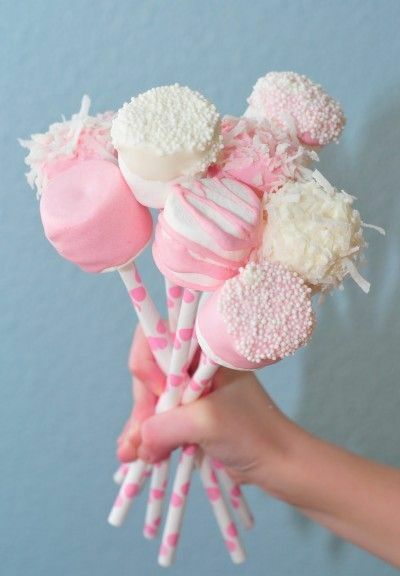 Valentine Marshmallow Pops are so adorable! They are very easy to make and a fun project to do with the kids. After only 20 minutes, you end up with these yummy and cute treats. You can find these and many other Valentine's treats on www.pinterest.com. To make them, you will need marshmallows, white chocolate, sprinkles (and/or crushed graham cracker, coconut, etc. ), popsicle sticks (or paper straws, pretzel sticks) and food coloring. For the directions, you can visit www.mommygaga.com.